BSI – Buying for Social Impact – ENSIE is partner in a project commissioned by the Executive Agency for Small and Medium-sized Enterprises (EASME) and the European Commission Directorate-General for Internal Market, Industry, Entrepreneurship and SMEs (DG GROW) to promote the use of social considerations in public procurement procedures. RIGHTS TO GROW - ENSIE and some of its members are partners in this project gathering experts from national partners and experts appointed by EU organisations in order to analyse good practices from a large number of countries. INNO-WISEs - ENSIE and some of its members are partners in this Interreg Central Europe project that aims at proposing ideas, models and services that can make social enterprises more innovative and competitive by reducing the existing technological and business gaps and stimulating a switch in mentality. 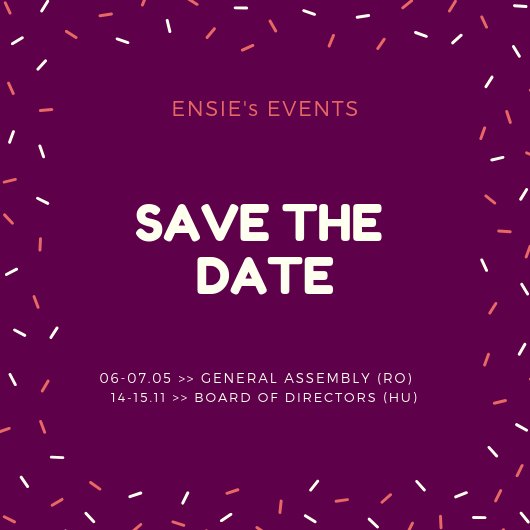 PROFIT - Promoting Financial Awarness and Stability - ENSIE has been invited to participate in the User Forum which is composed by representatives of key stakeholders and high-profile experts in the area.